New Reincarnated/Rebirth/Rpg Manga You Probably Didn’t Know. 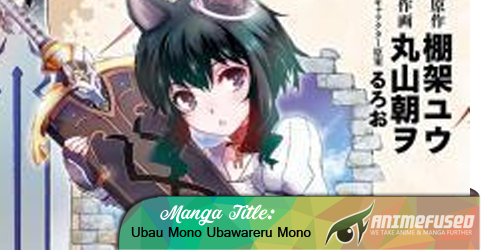 Good day, mina-san I just want to share this great new reincarnated manga that I’ve read. I’m pretty sure that many of us now are a fan of reincarnated/rebirth manga due to their interesting and fun stories and adventure. I’m also a fan of it they really got me so hyped. Although they have the same theme of Reincarnation/Rebirth They made more changes to the story so it wouldn't clash with other manga of the same theme. That is the reason why I still keep on reading it. 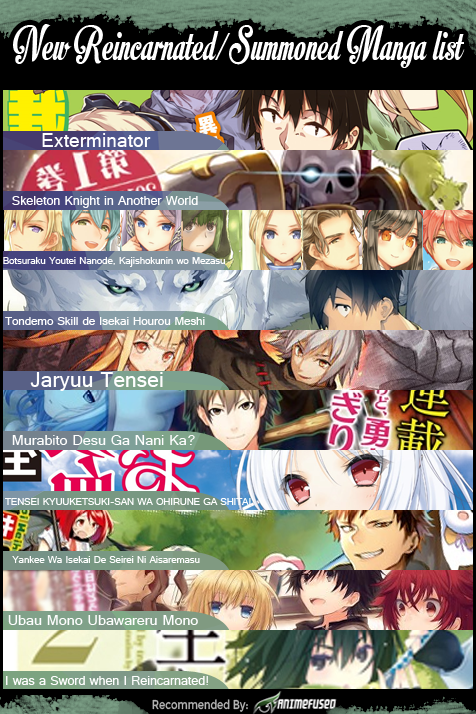 So here are my New Manga list. The main character here is Don, a professional killer, fighting is his specialty. Then suddenly woke up into a forest and attacked by a beasts and monsters. As he fight and run he will encounter more fights and trials because in this new world there is only fighting or death. A martial world where dark spiritualist and light spiritualist exist. The main character here is Ellen, daughter of the Hero who saved the Iddlyc Kingdom from a massive demon attack. He was a Spirit magician, The hero has a powerful spirit fighting with him. Unfortunately, he almost dies in the battle but saved by his powerful spirit. Ellen is the fruit of their love. Ellen was born but she can still remember her previous life as a Scientist. The main character here is Naoki an ordinary salaryman who works as a pest exterminator that dies and finds himself in a fantasy world. Unlike the other reincarnation manga that MC has overpowering and unique skills, the main character here has no skill and no weapons. Despite the advantage of this new RPG fantasy world, the main character does his best to where he's good at. The main character fell asleep while playing an online game. However, he awoke in a strange world with his game character’s appearance. Armed with his strongest weapon and armor. 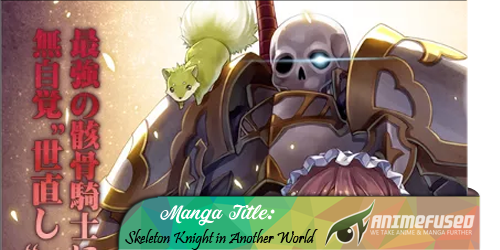 Unfortunately, the main character appearance was changed by the premium avatar skin "Skeleton" when he enters this new world. The main character was really bothered with his appearance but eventually, he finds this new world amazing. The main character is reborn as a character of a game he played in his previous life. His gameplay falls into ruin along with the "Evil Rich Girl", spending the last of their years together as a very poor couple. So the main character decided to change the outcome and seeks a profession. For now, he aims for becoming a blacksmith as he originally had talent in it. The main character is Mukoda Tsuyoshi, a 27-year-old virgin. LOL. Living and working in a suburban area, and one day was summoned to a different world of sword and magic to save the world. Unfortunately, the title of the main character here is useless and was suspected that he was a mistake. Therefore the main character takes an initiative and move on. Mukuoda left the castle by himself and could rely only on his unique skill Super Market that surprisingly allows him to order goods from modern Japan and transported magically. The main character was a simple salaryman that reincarnated into a Dragon and was call Evil Dragon due to its unbeatable power which isn't actually true that he was evil. Living a relative comfort and peaceful forest with his slime underlings until some of them are killed when he's away. He left them, somehow to prevent it from happening again and got turned to human form after mistaken a magic pill as candy and decides to become an adventurer. All in all, it’s quite a fun and relaxing to read so far. 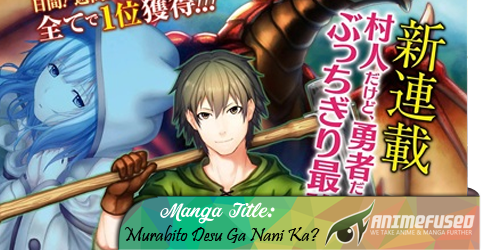 #6 Murabito Desu Ga Nani Ka? Other Title: I'm a Villager, So What? The main character was reincarnated into another world as a villager. The most appropriate occupation for his stature after reincarnation was a villager?! Even his house was just of a normal farmer and obviously poor. In this world where goblins and dragons exist, there was a lot of stories about adventurers and mages. However, here, the occupation of a person is greatly reflected in their status. This is a new story about becoming the strongest, despite being a villager. 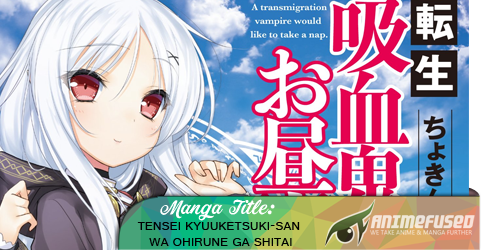 Other Title: A Transmigration Vampire Would Like to Take a Nap. 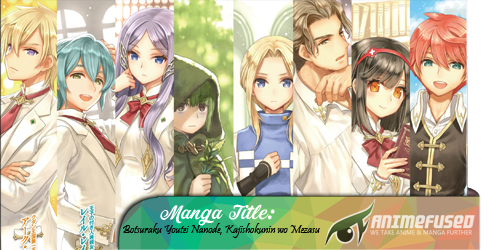 The main character here was reincarnated in another world as a vampire bishoujo. In this world of swords and magic, this protagonist who was reborn with all kinds of cheat skills was searching for one thing, meals a day, snacks and an afternoon nap. This is a new adventure fantasy about a powerful vampire with a good appetite and loves taking a nap. 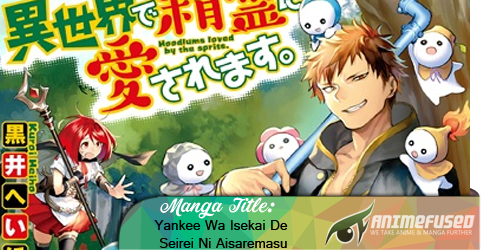 #8 Yankee Wa Isekai De Seirei Ni Aisaremasu. The main character with a scary intimidating eyes while trying to save a child who was going to be run over by a truck, the main character loses his life. When he wakes up even though he should have lost his life, The Main character is given the choice of being reincarnated, despite of his arrogant behavior and intimidating eyes, he was loved by many people but he will reincarnate in a different world, with a power called "Beloved by Spirits". This is a new adventure fantasy about a scary eye yet kind person and being loved by cute little spirits. The main character parents are incredibly evil. The story's fairly typical. Reincarnated, The main character has a unique ability to steal skills and uses it for revenge, which I kind of like. The story progresses a bit dark, with a little kid killing and stuff but it gives you the slice of life feeling with RPG elements later in the story. This is a new adventure fantasy about a young boy with a harsh past life who’s getting stronger for justice and revenge. #10 I was a Sword when I Reincarnated! The main character here who was reincarnated in another world and had become a sword that was stabbed on an altar in a great plain, crowded with devil beast. The world he was in had an RPG like system; HP, MP, Strength, Vitality, Agility, Intelligence, Dexterity, Titles and Equipment. Following his instinct as a living sword, he traveled to find the one who could be his wielder, until he met with a cat girl that was about to be attacked by a giant monstrous bear type devil beast. My Top 5 RPG genre Anime! 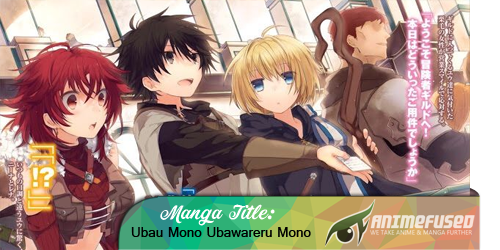 My Top 10 RPG genre Manga! "Yankee is loved by a spirit in a different world" is so cute!!! kawaii!!! Deprived by a Deprived Person, is really getting dark as you read, but what I don't like the most is that girl with him she's kinda moron and idiot to me. though she's strong when she's serious. All I can say is they're probably good, but I prefer reading them when it already has more than 50 chapters. Though I might try reading some after I read the "Legendary moonlight sculptor novel". I think I will read " I'm a Villager, So What?" its kinda interesting to me.. Changing your fate from an ordinary villager/commoner to a hero is cool! Thanks TS. "You don’t have any obligations to help out everyone." after checking it I'm a little disappointed the chapters is very few. But still its worth reading and it makes me excited for the next chapters. 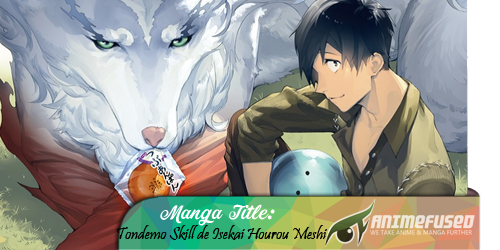 Aadmin I found a new reincarnated manga, "Isekai Pharmacist" its pretty cool admin!!! I like that manga, the MC is also OP awesome! I was a Sword when I Reincarnated! - is so cute!!! (12-08-2017, 01:44 AM)BattleMaster Wrote: Aadmin I found a new reincarnated manga, "Isekai Pharmacist" its pretty cool admin!!! I like that manga, the MC is also OP awesome! okay sure bro! I will add it to our list! I really like the "Tondemo Skill de Isekai Hourou Meshi" but the update is very slow. Tsk! 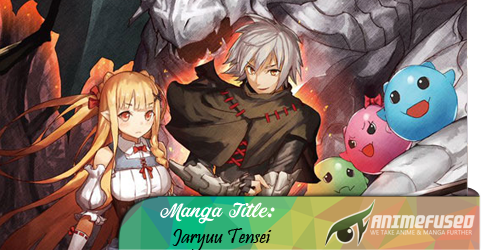 I think Jaryuu Tensei is only fun at first but later on its very boring! Exterminator is fun at the beginning but later on its somewhat boring..